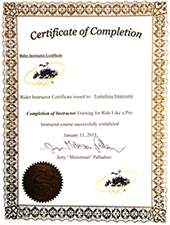 In January 2015, Tom was taught by Jerry “Motorman” Palladino the founder of “Ride Like A Pro”, training leaders in the US Florida. 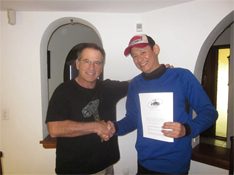 He was given a certificate from Jerry as the only official trainer as a Japanese. Owner and rider of large bikes more than 25 years. Currently Tom owns many large bike include Harley-Davison. Tom is represented of rider community, “Touring Riders” have more than 3,000 members. 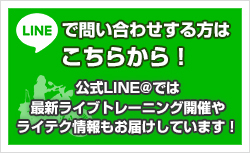 He organize regular riding touring with members who are from all over the Japan (from Hokkaido to Kyushu). Also, he teaches bike riding method all over the Japan since 2008. Tom have many experiences to teach sports bikes not only Harley-Davidson. Regardless of the rider’s physique and physical fitness, any rider can ride large and heavy bike like professional. With this training method, any rider are able to acquire this technique within 3-4 hours. 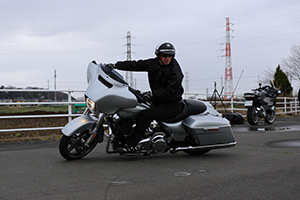 We have established “Ride Like A Pro Japan” for Japanese riders who are facing difficulties with handling a large and heavy bikes. We believe teaching this method gave any riders to feel confident and give them the joy of riding. This teaching method is the Best in the world. 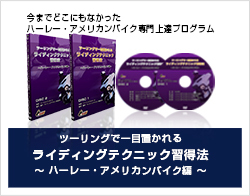 DVD, “Ride Like a Pro” are sold more than one Million and 10 training are francized in USA. I am sure you will have best bike riding with your confidence and this riding method.